Renue Aesthetic Surgery is a transformative beauty destination where board-certified plastic surgeon Dr. Victor Perez combines experience, integrity and surgical artistry to enhance your outer appearance and let your inner beauty shine through. Our entire staff appreciates the importance of your decision to undergo plastic surgery, and we are committed to delivering the safety, compassion and exceptional results you deserve. If you would like to begin your transformational journey at one of the safest, most advanced and recommended plastic surgery practices in the Kansas City and Overland Park areas, please contact Renue Aesthetic Surgery today by calling 913-685-1108 or completing the form on this page. We welcome patients from throughout Kansas, including Olathe and other neighboring communities. Why Choose Our Board-Certified Plastic Surgeon? Board certification is crucial when you're considering which plastic surgeon should perform your procedure. The American Board of Plastic Surgery (ABPS) is the only certification body recognized by the American Board of Medical Specialties, and a surgeon's certification signals that he or she has met certain select criteria for ethics, proficiency in plastic surgery, and more. 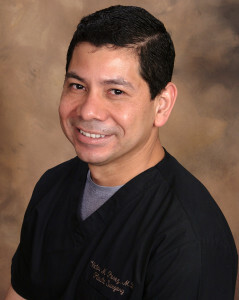 Dr. Victor Perez is a board-certified plastic surgeon. He also has more than 25 years of experience performing cosmetic and reconstructive procedures. Read more about his background. At Renue Aesthetic Surgery, we are committed to the individual care, safety and satisfaction of each patient. Dr. Perez and every member of our highly-trained team is honored to play a role in your transformative journey. We measure our success not by the volume of patients we treat, but by the quality of our results and the delight of those under our care. Honesty: Dr. Perez will never compromise your safety or the quality of your results for any reason. If you are not an ideal candidate for a certain procedure, he will tell you. He works diligently to set clear expectations and never over-promise what you can expect. Quality: Dr. Perez and Renue Aesthetic Surgery have built a hard-earned reputation for excellence. Most of our patients seek our services through referrals of friends and loved ones. Dr. Perez is committed to delivering unparalleled, world-class results. He routinely schedules surgeries for longer than he expects them to take to allow himself the time to work unhurried and focus on providing the beautiful, natural-looking results you expect. Individualized care: Dr. Perez understands that the best results come from attention to detail and individualized, patient-focused care. He never takes a one-size-fits-all approach to plastic surgery. Instead, he works to understand your unique goals and physical characteristics and designs a treatment plan that is customized just for you. Your safety and satisfaction are our top priorities. Dr. Perez will take the time to get to know you and your aesthetic goals, answer your questions and explain all of your options. If he feels a certain procedure is not right for you, he will tell you, and when appropriate, he will explain the steps you need to take in order to become an ideal candidate. Meticulous surgical skill, customized care and honest communication are among the many reasons why so many of our patients refer Renue Aesthetic Surgery to their friends and family. 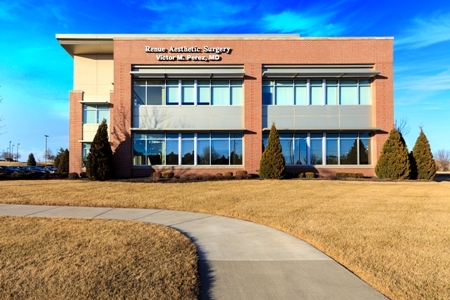 To experience our compassionate, patient-focused approach to plastic surgery for yourself, please contact us today online or at 913-685-1108 to schedule a personal consultation with board-certified plastic surgeon Dr. Victor Perez. We proudly serve Kansas City, Overland Park, Olathe and nearby areas.